On a cold dismal Wednesday afternoon, I found myself sitting at the children’s hospital for the third day that week. My two-year-old was throwing a huge fit because he wasn’t allowed into the therapy pool where my daughter was having a session with her physical therapist. My nine-year-old son was walking home alone from school, in the rain to an empty house. I thought anxiously about how we had to check into a different children’s hospital the next day for my daughter’s infusion. My mind wandered to the freelance writing gig I had turned down; I really wanted that job, but knew I couldn’t take it with the rigorous schedule of medical appointments. “If you’re happy and you know it, clap your hands,” sang a little voice. I looked over and saw a little girl who was waiting for her turn in the therapy pool. She had a prosthetic leg and her other leg grew only to her knee, where it had a tiny foot that faced backwards. “If you’re happy and you know it, stomp your feet,” she continued, giggling and leaning on her crutches to stomp her prosthesis. Tossing her blonde curls, she smiled back at her mom. The little girl stopped me in my tracks. How could I be feeling sorry for myself while she was so joyful! That day, I realized I had to find a way to survive…and thrive in my new normal. I needed to find a way to take difficult experiences, the constant slew of medical appointments, our daughter’s new challenges, and not let them consume me. Our lives changed drastically when Ansley, our daughter, got sick. My husband and I were blessed with three beautiful, healthy children (who were 8, 5 and 1 at the onset of Ansley’s illness). I worked part-time, writing healthcare content for a hospital, and I loved the balance of professional work and mom duties. 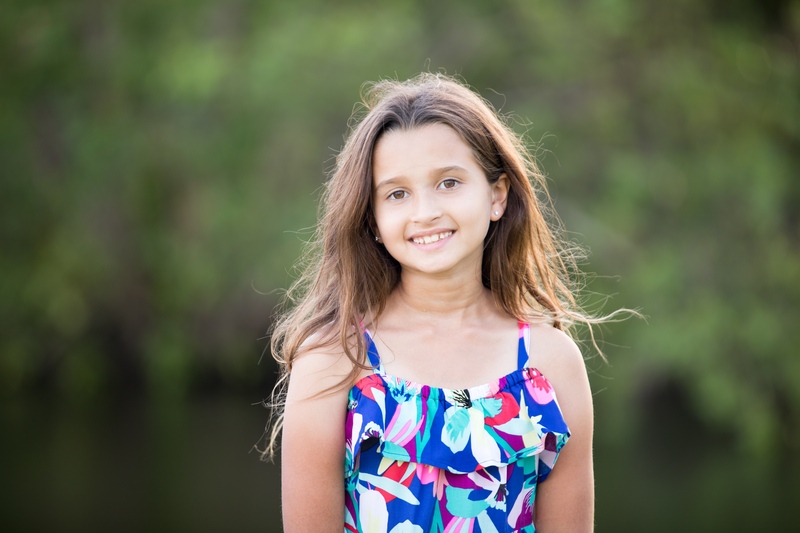 The summer before Ansley started kindergarten, she began experiencing strange and terrifying symptoms—from stiffening in her body and leathery skin, to huge lymph nodes and partially paralyzed hands. We were thrown into a whirl of countless appointments with pediatric specialists, seemingly endless tests, diagnostic procedures, a biopsy, surgery and more. After many months, she was diagnosed with a rare and serious autoimmune disease. It was scary, frustrating, depressing and exhausting. Eventually, we found an expert who devised a treatment plan, and we enrolled in a long-term research study. I learned how to give injections and administer an IV at home–it was a difficult two years. It’s been about three years since Ansley got sick, but thanks to medical specialists, powerful drugs, countless sessions of physical and occupational therapy, and moving to a warmer climate, she is much better. Doctors hope that she will be in remission after five years. Although Ansley still struggles with tough side effects and some pain, her hands are completely back to normal, and she can run, bike and play outside. 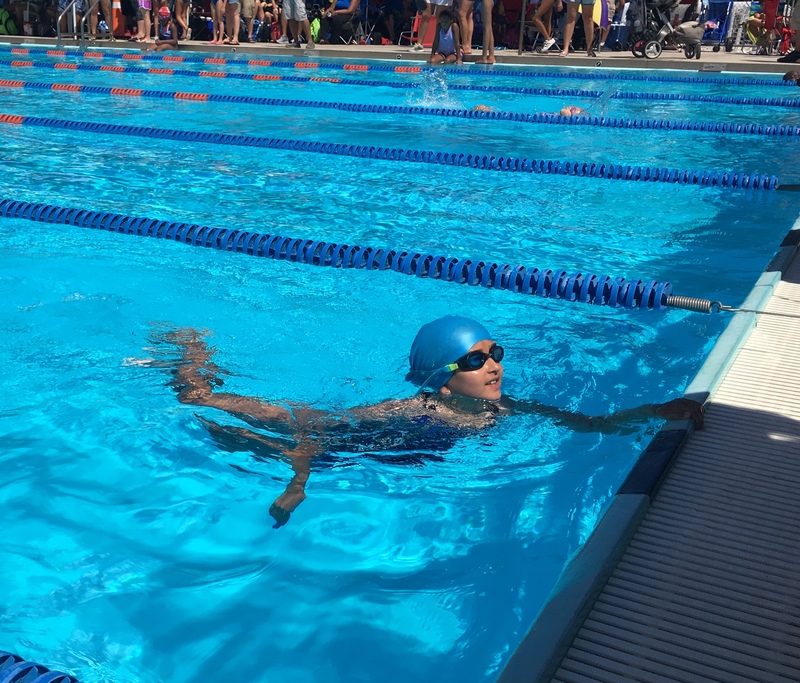 She recently joined a swim team and competed in her first meet, where I was likely the only mom with tears under my sunglasses! I was overwhelmed with joy and gratitude–two years ago, our little girl couldn’t even raise her arms above her head, but today she could swim the butterfly stroke across an Olympic-size pool. When I started working again, I realized that when I write about healthcare, I have a greater sense of purpose and depth of understanding. When I write an article about surgery and general anesthesia, it’s no longer an abstract concept but an experience seared into my memory. I know that the patient experience begins long before you meet the doctor. I know that sometimes even parking your car can become a big part of that experience–especially when you have to park at a distance with a cranky toddler in a stroller, and a child hobbling in pain. I understand the fear that patients may feel, and I appreciate the role of the oft-forgotten caregiver. When friends threw a party, with a band, in their backyard, Ansley’s ankles were hurting and her arm was sore from having just finished a 3-day IV treatment. Yet she danced all night long with her daddy, wearing her favorite red cowboy boots with ankle braces underneath. About the author: Erin Moriarty Wade is a freelance writer whose writing focuses on topics in healthcare. As a reporter, she has covered everything from the AIDS epidemic in Southeast Asia to hospital competition in Atlanta. At present she mostly does content writing for healthcare organizations. Follow her on Twitter at @EMoriartyWade. @emoriartywade Thank you for sharing this powerful, heartfelt post.